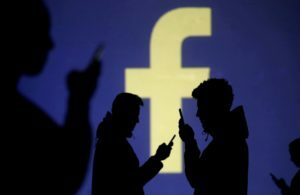 From The Guardian: “In 2017, Facebook started using artificial intelligence to predict when users might kill themselves. The program was limited to the US, but Facebook has expanded it globally. It scans nearly all user-generated content in most regions where Facebook operates. When it identifies users at high risk for suicide, Facebook’s team notifies police and helps them locate users. It has initiated more than 3,500 of these ‘wellness checks’ in the US and abroad. Let’s hope they don’t make it mandatory. I keep this on my desktop now, I refer so many people to it. No excuse for using FB after reading this, or getting your friends to. After all, people don’t want to go against FB, it must know what it’s talking about, right? Could the shrinks who design these prognosticating programs for FB be held accountable for planting seeds in the minds of desperate and suggestible people? This is very much in synch with Sera Davidow’s blog running concurrently with this one. I agree, “that’s wrong.” Facebook has run amok, just like the psychiatric industry, due to unchecked power. How un-American.